We often hear rappers waxing lyrical about being in the trap house (their mama’s basement) because the block is hot (the cul de sac in their suburban subdivision), bragging about “the feds watching,” knowing that no one’s trying to get them to snitch on the dude that sold them a dime bag of midgrade marijuana. But when you’re Shawn Carter, aka Jay-Z, “the block” is a sprawling mansion, and “da feds” who are watching are officials from the federal Securities and Exchange Commission. 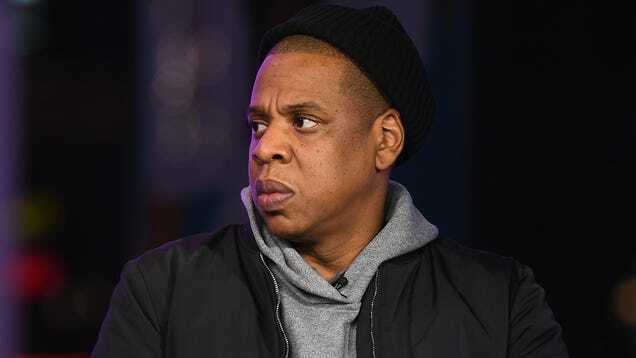 According to Bloomberg, Hov has repeatedly refused the SEC’s request to discuss the investigation into apparel brand Iconix’s accounting practices and potential violation of federal securities laws. In 2007, Iconix paid Carter $200 million for his Rocawear label. Iconix licenses brands like Candies, Starter and Joe Boxer to national retailers. At the time, Jay-Z’s brand reported annual sales of $700 million. According to Investopedia, Jay-Z agreed to work with Iconix to help develop the brand after the sale. In 2016, Iconix wrote down the value of the brand by $169 million and another $34 million this year, according to the SEC. When the SEC began looking into this, the government agency subpoenaed Jigga in November 2017, but he didn’t show up. After retaining new counsel, he ghosted them again in February 2018. Carter’s public position is basically that he has 99 problems, but snitching to government regulators ain’t one. In issuing the third summons, the SEC does not allege that Jay-Z had any involvement with company’s potential wrongdoings. In a related story, Beyoncé has never responded to any of my family’s subpoenas to perform at our Labor Day cookout. However, Dame Dash agreed to stop by for $50 and a fish plate. My aunt Marvell’s block is too hot.